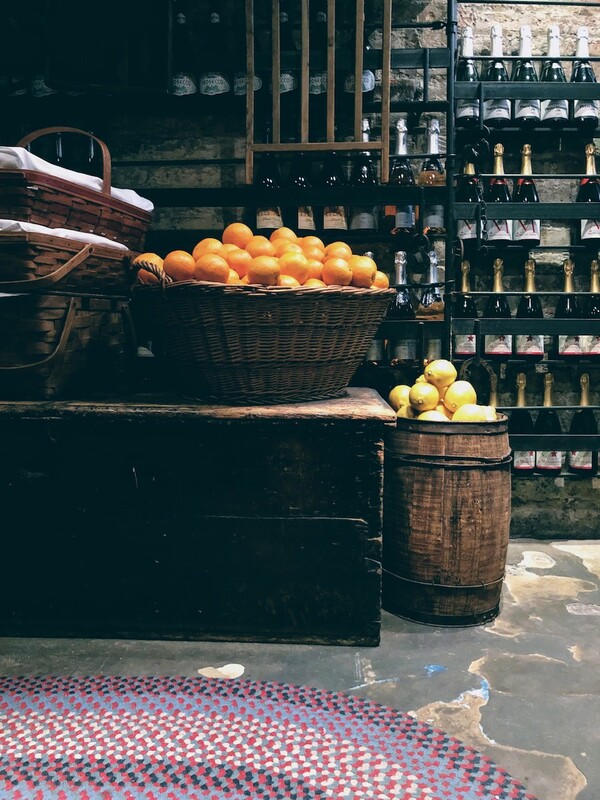 Established in the early 2011, Buvette is a miniaturized version of a true Parisian cafe: easygoing but with just the right sense of formality. If you arrive there before 11am, chances are you'll be in for a short wait. The waiter by the reception's got worked a funky way of keeping track of those in the queue - marking names on the doorframe with chalk. Part cafe, part bar, part restaurant, this relatively small place is filled with French artefacts -even a cute classic bicycle parked outside- and about 10 tables inside. 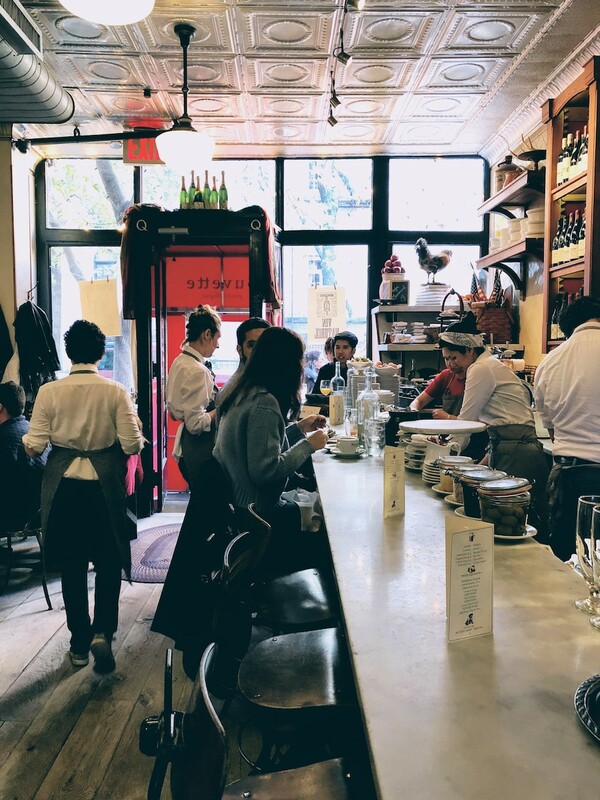 Baskets of baked goods -croissants aux amandes are a must here!- alongside jugs of freshly squeezed juice (and that's a rarity in NYC) make up for the perfect setting as soon as you get a table - strongly recommend the bar! Croissant aux amandes - delicious! 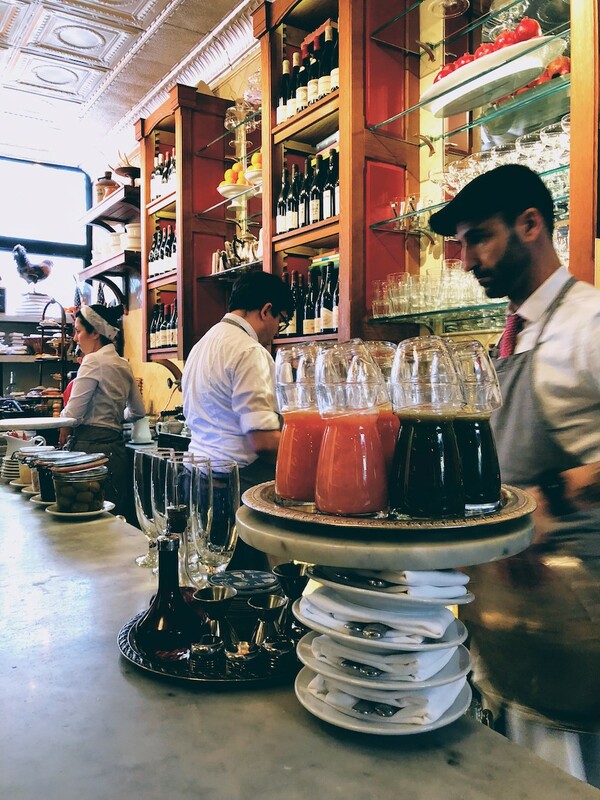 The menu is indeed French with some deliberate detours to Italy, as you'll quickly notice the thinly sliced prosciutto constantly being cut right in front of you by the head chef at the bar. Sometimes to decorate a perfectly made dish of steamed eggs and other times to complement your tender crocque monsieur - or would you prefer the more loaded crocque madame? The menu keeps on changing but if you happen to find the scrambled eggs with goats cheese, semi-dried tomatoes and capers, then order right up! For more simple options, keep it to Beurre Au Marmalade which obviously is whipped butter & orange marmalade. 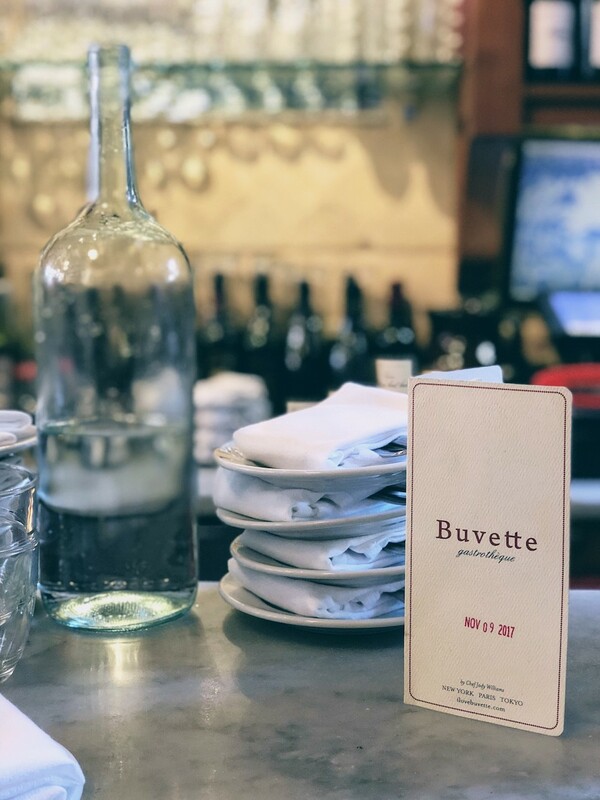 The servers keep on scrambling around in kind of a frantic mode as the place gets more busy but that's no biggie if you're a happy camper at Buvette. After all, there's a reason why you need to show up early at this place. We still haven't tried their outposts in Paris and Tokyo but it's definitely on our to-do list!